The wildly popular Netflix series “Narcos” dramatizes the rise and fall of Pablo Escobar – leader of the infamous Medellín drug cartel that dominated the supply of cocaine to the US – and his battle with drug enforcement agencies in the US, Mexico and Colombia. That struggle is thought to have cost at least 4,000 lives over two decades, made Colombia synonymous with drug-trafficking, put Escobar on the Forbes rich list , and left Medellín as the murder capital of the world . But it’s more than 20 years since Escobar was shot dead by Colombian police and Medellín is unrecognizable from the battleground of the 80s and early 90s. The city has seen such a dramatic turnaround that it now markets its expertise to failed or failing cities. As the World Economic Forum’s Latin American regional meeting in Medellín draws to a close, here are six images that illustrate the transformation of this failed city. Latin America is home to nearly all of the most violent cities in the world, according to an analysis by the Economist of data from the Igarapé Institute, but Medellín fails to make the top 50. No-one’s pretending the drug trafficking and murderous gangs have gone away – the deadly shooting of a US tourist in Medell í n last year was a sharp reminder of the dangers and received global media coverage – but the numbers speak for themselves. The sombre, gritty street scenes of the Narcos series are in sharp contrast to what a first-time visitor sees: trees and flowers in abundance and a wealth of public parks. Environmental site Treehugger describes the place as a ‘ green oasis ’. One ingredient of the urban turnaround is the creation of public spaces designed to bring people together. The most interesting are the ‘library parks’ – large libraries surrounded by green parkland for public use in the more marginalized parts of the city. 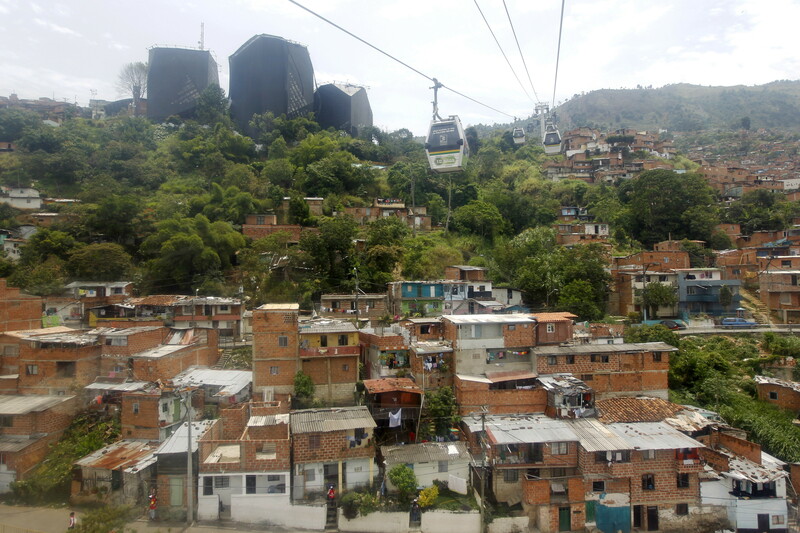 Another eye-catching aspect of Medellín’s urban renewal is the use of novel transport techniques to connect parts of the city, mostly those on the hilly outskirts, that have been isolated from the centre. Medellín was the first city to use cable cars as a public transport system – an approach since adopted by cities around the world. 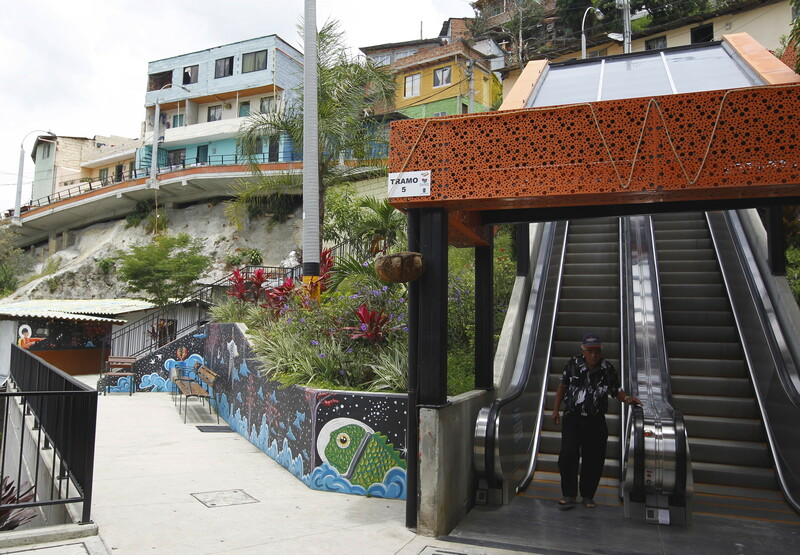 The transport innovation that really stands out is the use of giant escalators to connect the poor area of Communa 13 to downtown Medellín. That has reduced a 30-minute walk and a 28-storey climb to a five-minute ride. Pablo Escobar’s success was in ‘vertical integration’ – a business model under which there is ownership and control of every step of the production process. That meant everything from the farming of coca plants to the maintenance of a retail network. And it worked so well it turned cocaine into Colombia’s number one export in the early 90s. But now Medellín has taken a 180 degree turn and is busy diversifying its economy. Tourism, unheard of two decades ago, has returned. And the city has been labelled ‘ Latin America’s Silicon Valley ’ on the back of its new status as a tech hub, winning the Wall Street Journal/Citi most innovative city award in 2012. The most visible sign of this to the visitor is possibly the Ruta N innovation complex nestled between Medellín Botanical Gardens and the hills. Graffiti is one constant that connects new and old Medellín. But it’s nature has changed , and is, at least in part, now seen as a means of reminding citizens of their history. In an illustration of the new mood of enterprise in the city, graffiti tours are now part of the tourist scene.